Varicose veins are among the most prevalent of vascular diseases. It is characterized by engorged and distorted veins, and commonly appears on the legs, although it can present in other parts of the body. This disease affects about 3.7 million Canadians. While it is common to both men and women, the risk of varicose veins is twice as high in women. The swollen, damaged veins have a reduced capacity to circulate blood supply from the leg to the heart. Although it is a relatively common condition, there are several myths about varicose veins that are ultimately unhelpful to individuals with this condition. We have collected several myths concerning this disease, and give our readers the truth about varicose veins. Varicose veins may seem like a simple cosmetic issue. They make your legs itchy, aching, and tired. Some people with severe varicose veins may experience dermatitis, swelling, or restless leg syndrome. Prolonged sitting or standing may result in swelling in the lower extremities. Varicose veins can lead to superficial phlebitis, a condition characterized by the blood pooling and clotting in the vessels affected. This condition can be extremely painful; however, it is not necessarily dangerous. Health experts believe that untreated superficial phlebitis can potentially develop into deep vein thrombosis (DVT), a grave medical condition that requires immediate attention. Varicose veins may also progress into another more serious disease known as chronic venous disease, a condition characterized by a discolouration of the calf and ankle. 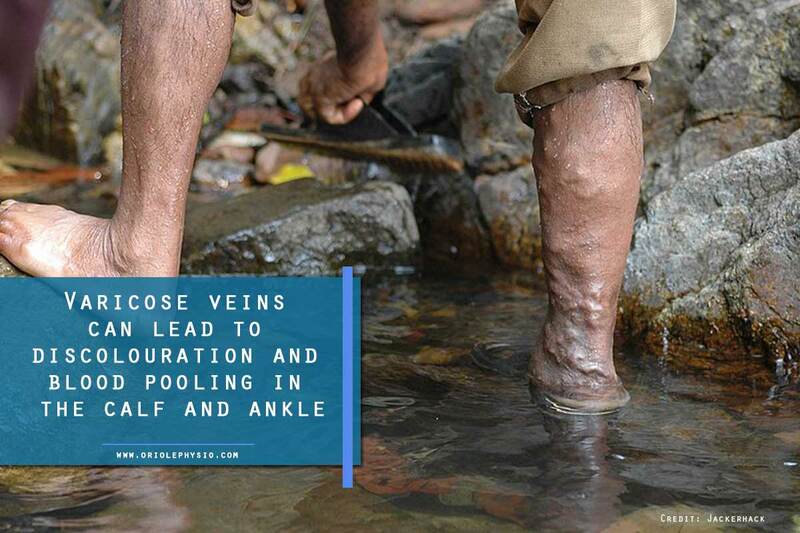 In advanced cases, blood may pool in the varicose vein and may leak into the tissues of the lower leg and ankle, causing the skin to harden and darken, and potentially result in skin ulcers. This is probably the most well-known myth about varicose veins. 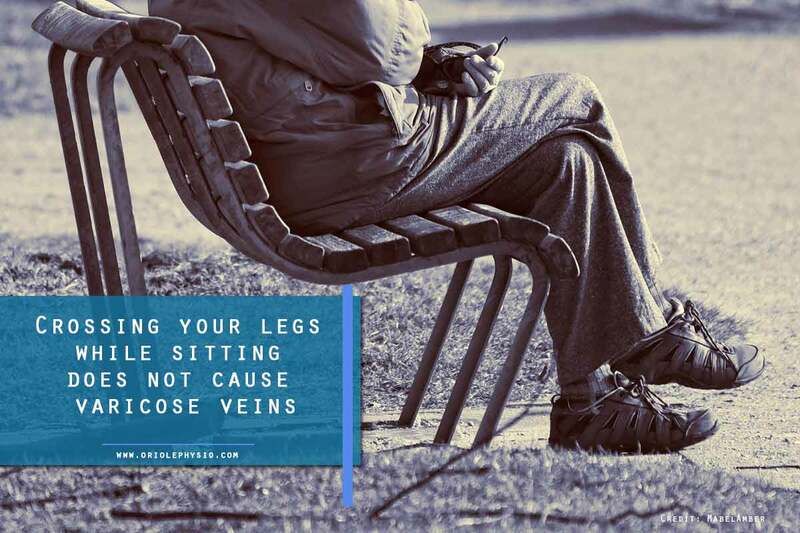 Neither crossing your legs nor wearing tight shoes or pants increase your risk of varicose veins. However, if you already have varicose veins, these factors may aggravate the condition. Varicose veins are a result of venous reflux, or blood pooling in your blood vessels. This may be caused by weakened or damaged valves in your veins. Healthy valves help maintain proper blood circulation and prevent pooling. These preventative measures help improve blood circulation and muscle tone, reducing your risk. 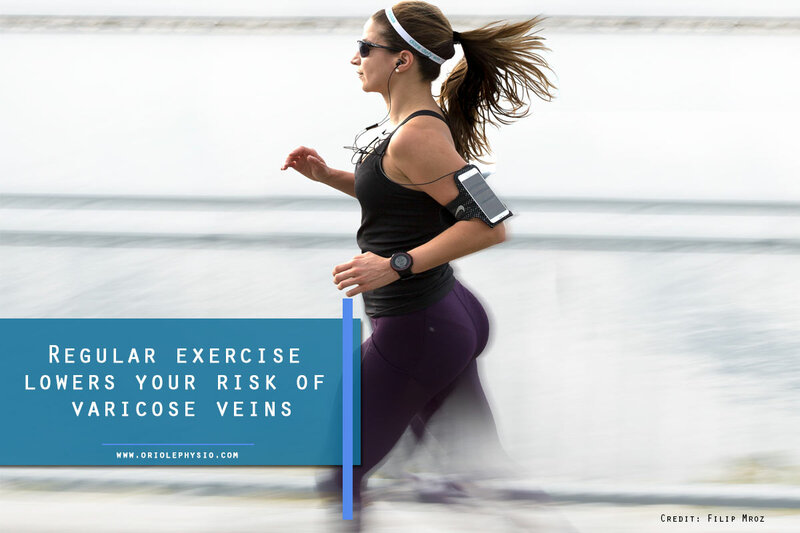 However, they may only slow down the onset of varicose veins in those who are particularly susceptible to the condition. These vein diseases are often mistaken as similar vascular issues when they are not. Spider veins are characterized by small, thin, red or purple lines on the skin; varicose veins are blue, bulging, damaged veins. Varicose veins occur in the fat between the skin and muscle tissue. The pressure from varicose veins can result in the formation of spider veins, particularly in the ankle. Unlike varicose veins, spider veins do not necessarily require treatment. Most people often think that only those with visible large, protruding veins from the legs have venous issues. 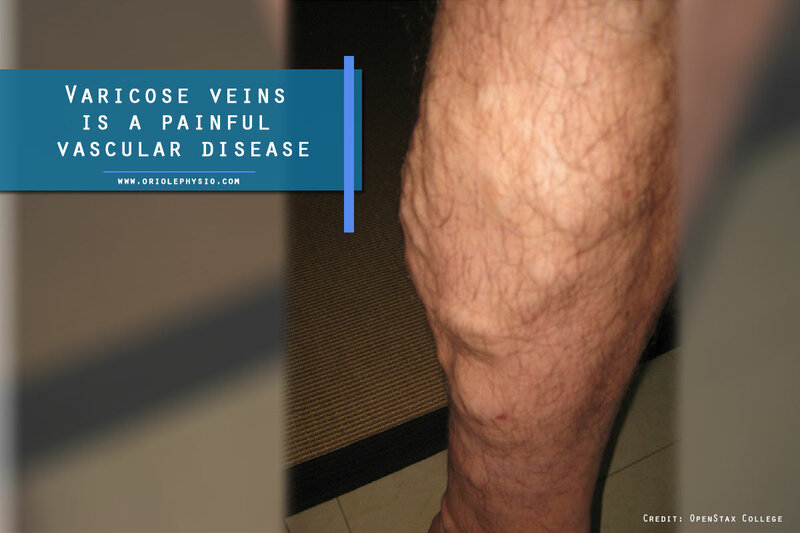 However, a person who experiences swelling, pain, burning, itching, skin changes, or restlessness without visible signs may still have varicose veins. In this case, the varicose veins lie deeper within the tissue of the leg and are therefore less noticeable. 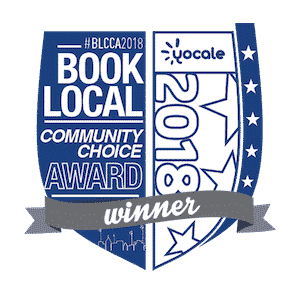 Lymphatic Drainage Massage – helps improve blood circulation by moving the lymph fluids into the blood vessels and prevents the pooling of blood in the veins. Circulatory Massage – depending on the type of stroke used, this type of massage helps circulate blood through the veins or from one valve to another. Reflexology Massage – This type of massage focuses on the feet and hands. It also benefits the digestive system, spine, and sciatic nerve. Pregnant women can especially benefit from a massage from a trained therapist. Due to the hormonal changes during pregnancy, the walls of the veins relax and stretch, allowing blood to pool. Additionally, the developing fetus increases the pressure on the mother’s large blood vessels in the pelvis. These changes could trigger varicose veins in someone who may be predisposed to the condition. Surgical intervention for varicose veins involves the stripping (removing) of the damaged vein, leaving an incision scar. Surgery frequently requires general anesthesia, and a hospital stay for pain management during recovery. Fortunately, this type of varicose vein treatment is largely abandoned in the modern era. Many of today’s procedures are minimally invasive and do not require a large incision along the varicose veins. They can be done in less than an hour using only local anesthesia. Many patients reported mild discomfort during the surgery and faster healing. The recovery period usually lasts about two weeks following the surgery. Today’s medical advancements can often provide a permanent cure for varicose veins. Non-invasive treatments, such as endovenous thermal ablation and laser therapy, are the biggest game changers in treating the condition. Follow-up studies have shown that endovenous treatments are more successful in the short- and longer term compared with surgical procedures, and have far fewer instances of complications. Since many insurance plans cover surgical varicose treatment, insurance carriers encourage patients to wear compression stockings during the recovery period or up to six weeks after treatment. Varicose veins are not a trivial medical condition, and can lead to severe health concerns if left unaddressed. Consult with your physician or licensed health practitioner to develop a treatment plan for your varicose veins. At Oriole Physiotherapy and Rehabilitation Centre, our team of certified health professionals will devise a specialized treatment plan to provide relief from the pain and discomfort of varicose veins. Our quality custom compression garments are designed to help our patients live better, feel better, and perform better. For custom compression stockings in North York, call us now at (416) 221-0772 for appointments.